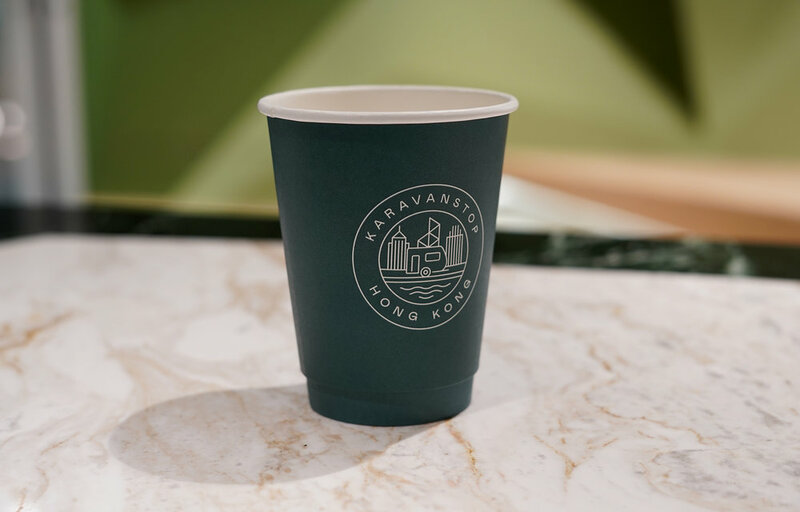 A rest stop located in Hong Kong International Airport, Karavanstop serves Hong Kong craft beer, coffee and snacks. We were commissioned to create the identity. The identity system is made of a flexible series of graphic elements. We created a primary logotype, a circular lockup, icon, list with arrow template, bold but restricted colour palette and typography usage.